In Sydney today rehearsing for the Australian tour of the stage production ‘Driving Miss Daisy', are actors Angela Lansbury, James Earl Jones and Boyd Gaines. Angela Lansbury is a British TV, film and stage actress. Films: "Gaslight", "The Picture of Dorian Gray", "The Manchurian Candidate", "Death on the Nile". TV: "Murder, She Wrote", "The Blackwater Lightship", "Little Gloria... Happy at Last". Stage: "Mame", "Gypsy", "Sweeney Todd", "Blithe Spirit". She is widely regarded as one of the greatest actresses of all time and a pop culture icon. She has been nominated for 3 Academy Awards (she won an Academy Honorary Award in 2013), 15 Golden Globes (6 wins) and 18 Primetime Emmy Awards (no win). She has also won 5 Tony Awards. She supports the United States Democratic Party and the British Labour Party, while she has supported the fight against HIV/AIDS many times in the past. She has been married twice in the past and she has 2 children. The actress Angela Lansbury signing autographs outside the stage door of the Shubert Theatre, following a performance in Blithe Spirit, April 11, 2009. Angela Lansbury, three-quarter length portrait, seated with daughter Deidre and son Anthony / World Telegram & Sun photo by Roger Higgins. New York World-Telegram and the Sun staff photographer: Higgins, Roger, photographer. Angela Lansbury back on Broadway, in Terence McNally's play "Deuce"
Cropped screenshot of Angela Lansbury from the trailer for the film The Picture of Dorian Gray. Cropped screenshot of Angela Lansbury from the film Till the Clouds Roll By. Angela Lansbury is a famous British TV, film and stage actress, who was born on October 16, 1925. As a person born on this date, Angela Lansbury is listed in our database as the 3rd most popular celebrity for the day (October 16) and the 10th most popular for the year (1925). People born on October 16 fall under the Zodiac sign of Libra, the Scales. 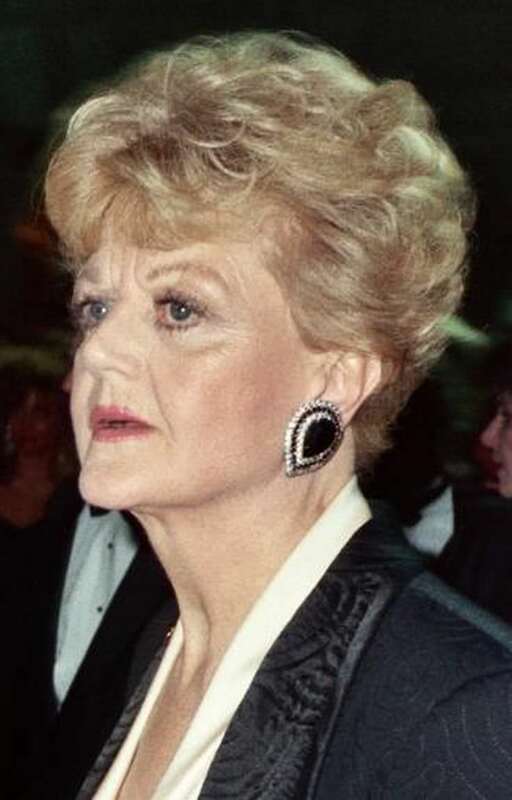 Angela Lansbury is the 126th most popular Libra. Aside from information specific to Angela Lansbury's birthday, Angela Lansbury is the 26th most famous British. In general, Angela Lansbury ranks as the 1604th most popular famous person, and the 10th most popular tv host / presenter of all time. “The Famous Birthdays” catalogs over 25,000 famous people, everyone from actors to singers to scientists to serial killers and more. If you're curious to see who was born on your birthday, you can use our database to find out who, what, where, when and why. You can search by birthday, birthplace, claim to fame or any other information by typing in the search box, or simply browse our site by selecting the month, the day, the horoscope, or any other clickable option.